Convergent Energy + Power (Convergent) was established in 2011 by CFOO Frank Genova and CEO Johannes Rittershausen using a borrowed office. Six months later, they were joined by CIO Christopher Streeter. This team spent the first couple years developing—and executing—a business plan that provides energy storage solutions as a service to address costly infrastructure issues. Since winning our first project in 2013, we’ve never looked back. When we started the company, the cost of a battery was four times what it is today. Our prospective customers were unfamiliar with the terminology and technology of “energy storage” and many were reluctant to be the first to try it. The idea that you could build a battery system to save customers money and advance their corporate sustainability goals was merely a thought experiment. In under a decade, we’ve turned this ambitious thought experiment into reality. Today, saving customers money through energy storage is a mainstream idea, with Convergent still several steps ahead of the industry. 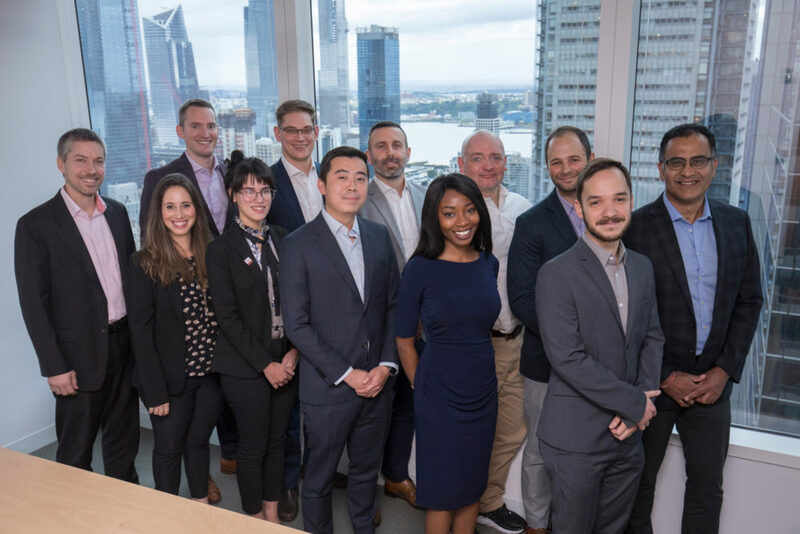 As the leading independent developer of energy storage solutions in North America, we now have a staff of over 25 people with offices in New York City, Toronto, and Los Angeles. If we could define Convergent in a word, it’s “results.” In the nascent but rapidly growing field of energy storage solutions, our customer-centric approach to project development—and our deep track record of completed projects—speaks for itself. With over 120 MWs and 240 MWhs of projects in operation, construction, or under contract, Convergent is the largest independent operator of energy storage solutions in North America. Convergent has raised and deployed over $70M of capital including the first non-recourse debt financing for energy storage. Our 10MW project in Ontario is the largest behind-the-meter energy storage system in North America. We’re the first developer to build and operate energy storage as a “non-wires alternative” for utility infrastructure. We’re the first company to bring a Global Adjustment energy storage system online. Our PEAK IQ algorithm is 25% more accurate at peak prediction than public market forecasts.